If you’re like most people who visit Paris, you probably want to make sure you don’t miss the must-see sights. Seriously! Who takes their first trip to Paris without seeing Notre Dame or the Eiffel Tower? 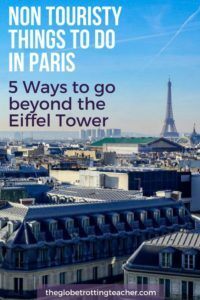 But, at the same time, I’m sure you also want to go beyond the basics and find the best non touristy things to do in Paris. 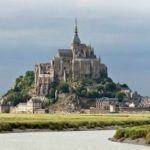 That’s why first-time visitor articles and tips for Paris are just as popular as reads about off the beaten path Paris or Paris hidden gems. So, if you’re visiting Paris for the first time, use my cheat sheet linked above. But then, sprinkle in a few of the top non touristy things to do in Paris for a trip that’s all your own. 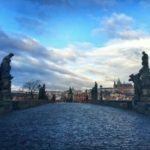 Pin me to your Pinterest Travel Board! 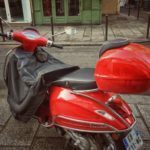 What’s more quintessential than riding around Paris on a Vespa accompanied by a local who knows where to go and how to get there without GPS or a map? Why not add a local twist to your sightseeing plans with one of Paris best kept secrets? Ride ‘n’ Smile offers visitors the chance to ride on their very own Vespa past popular spots like Notre Dame and the Louvre. 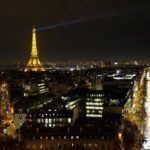 Along the way, you’ll drive through several arrondissements discovering Paris off the beaten path including historic streets, markets, and tucked away cafes and shops. Choose whether you want to tour the city by day or all lit up and sparkling at night. If you’ve already visited Paris’ main sights, Ride ‘n’ Smile is happy to customize your tour around specific arrondissements or themes. This is perfect if you want to focus on a specific figure or period of time in Paris history. Even better still, let the guide show you alternative things to do in Paris! Learn more by checking out my Ride ‘n’ Smile experience! 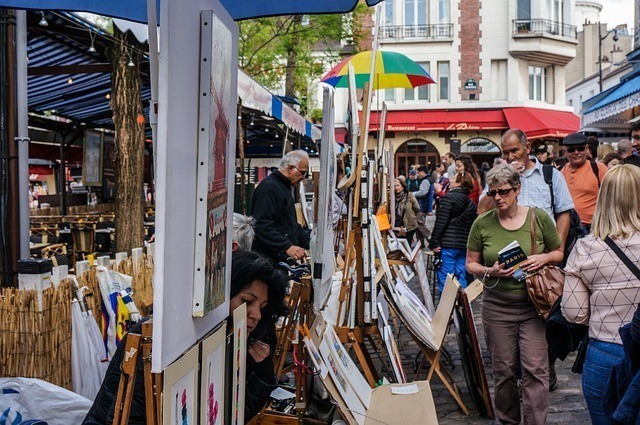 Paris’ historic food, vintage, and antique markets offer the opportunity to stroll with the locals while searching for that perfect bite, specialty item, or bric-a-brac object telling a story of Paris past. One of the best non tourist places in Paris is the Marché aux Puces de la Porte de Vanves. It’s easier to access, smaller, and less overwhelming than the larger Marché aux Ouces de Saint-Ouen. But, both will have you digging deep looking for that amazing antique find, like a 19th-century chandelier or a vintage flapper dress. Marché Saint Quentin is one of Paris’ covered food markets. You’ll find everything from fruits and vegetables to meats, cheeses, and specialty food items. Eat while you’re there or buy for later. If you’re in the Marais, don’t miss the Marché des Enfants Rouges. It’s Paris’ oldest covered market dating back to 1628. Find stalls selling gourmet food, but the real highlights are the stalls cooking up bites in nearly every cuisine for market-goers to munch on. Chez Alain’s crêpes draw a never-ending line and vegetarians, like me, will love the Moroccan cous cous dishes at Le Traiteur Marocain. Get all my best Where to Stay in Paris recommendations! Whether you’re interested in cooking, history, or art, put your guide book away and plan time for an authentic experience with a local expert. In my opinion, these experiences are always one of the most memorable parts of a trip! Context Travel offers small group (no more than 6 people) walks led by an academic versed in a particular topic, like my Hamilton NYC Tour. 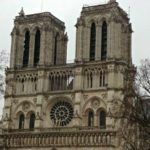 Not only will you learn about non touristy Paris, your guide will undoubtedly share Paris hidden secrets. Walk through Montmartre and learn about the artists and writers, like Picasso and Hemingway, who once called this Paris neighborhood home. Or taste your way through the Left Bank with a local chef to discover the history and flavors of French cooking. Or perhaps you’re looking to return home skilled in the techniques of a real French chef. 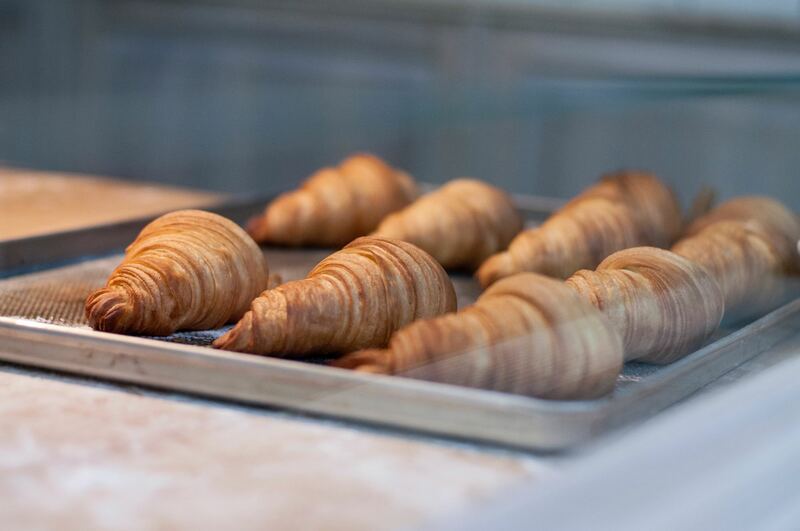 Take a class with La Cuisine Paris and learn to bake buttery croissants or to prepare classic French sauces. Instead of just eating the best croissant, you’ll have the chance to make some! Aspiring artists and photographers will undoubtedly feel inspired by Paris’ art and architecture. Anyone can visit the Musée d’Orsay or take photos of the same Paris sights like everyone else. 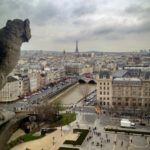 So, join in for some different things to do in Paris like taking an artist workshop at the Musée d’Orsay or having a guide show you how to capture the beauty of Paris. Did you know that Paris has somewhere around 130 museums? 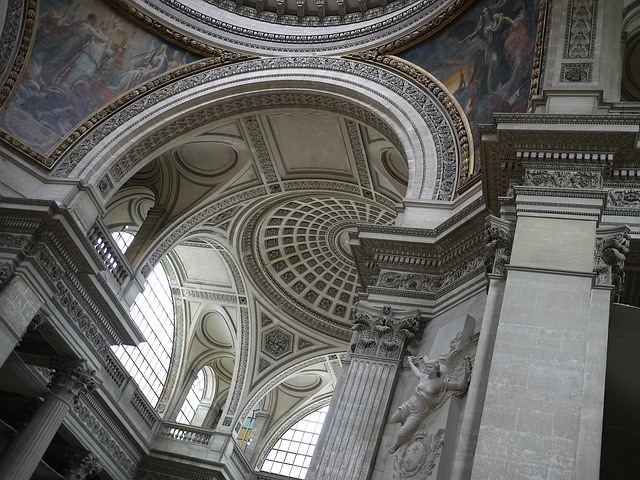 Or that Atlas Obscura lists over 100 places where you can explore Paris off the beaten track? The Louvre, of course, is a must. But, it’s overwhelming. In contrast, the sculptures and the garden at the Musée Zadkine, located near the Luxembourg Gardens, highlight the works of this Russian sculptor in the studio where he lived and worked. You’ll appreciate the ambiance and will develop an appreciation for the pieces on display in a way that’s very difficult to do among the crowds surrounding the Mona Lisa. 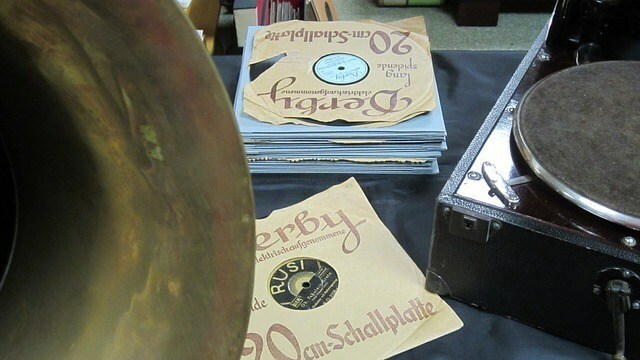 Or really go deep and discover 2 unusual Paris attractions. Take a tour of the catacombs or visit the Musée des Egouts de Paris, French for the Paris sewer system museum. 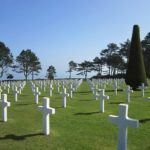 Take a tour through either and discover a maze of tunnels, the remains of more than 6 million people, and how these underground places figure into the history of Paris. What’s more, the Musée des Egouts de Paris is one of Paris most secret spots. Yes, they’re both a bit spooky, but you’ll come away with interesting stories to tell and a different view (literally) of Paris. It’s no secret that sometimes the most obvious idea is the best. Exploring on foot is hands down the best way to discover non touristic places in Paris. For the most fearless among you, just wander is a simple thing. However, I know not everyone feels comfortable doing this in a new place. So, here are some points on the map to get you started. 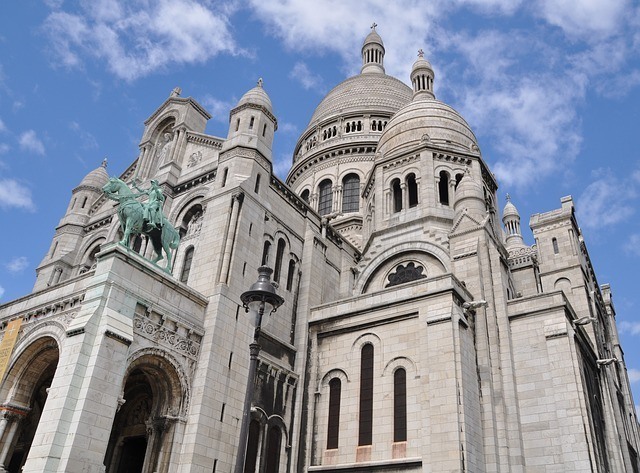 Don’t just go to Montmartre for the Sacre Coeur. Zigzag your way through Montmartre’s tiny streets and you’ll find some of the best non touristy places in Paris! Not only might you stumble upon the best meal of your life or that perfect scarf, but you’ll also get a feel for the culture and daily life. Paris has countless pretty streets your camera is sure to love. Why not begin with one suggested by your guidebook and then wander from there? For example, Rue Cler is a popular pedestrian-friendly street in the 7th arrondissement because of its shops, markets, and cafes. But did you realize that many of the smaller streets around Rue Cler have excellent gourmet shops and open-air markets?. You’ll just have to wander to see what you find! Or how about Rue des Rosiers in the 4th arrondissement? The area has become popular for its fashionable boutiques and famous falafel. But the true charm of this neighborhood lies in discovering a couple of the most non touristy places to visit in Paris, like the Musée Carnavalet (currently closed for renovations until 2019) with objects detailing Paris history and Canal Saint-Martin. Paris is an iconic global city with many must-sees. But, it’s the non touristy things to do in Paris that’ll help you create a trip itinerary all your own. 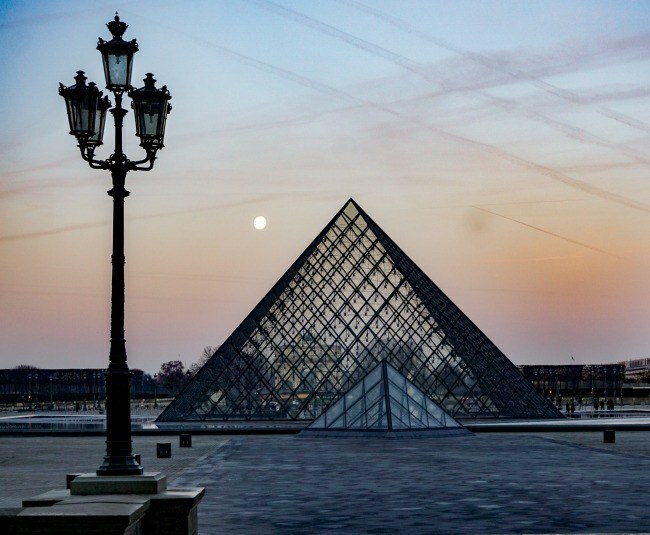 Which Paris hidden gems would you like to see and do? Love this! Of course you have to visit the Eiffel Tower if you’re there but Paris is such a beautiful city to just wander and get lost in. We love the markets and discovering little shops hiding in nooks and corners. I don’t think I’d have the nerve to try a Vespa there, though! Your brother is absolutely right, Amit! I’ve been several times and only feel like I’ve scratched the surface. Hope you can make it for a visit. Have always heard about the underground tunnels and the eerie ambiance. Will try to check it out! Also, a ride on a Vespa across the city would be great! Great guide! I would take a class with La Cusine Paris To learn to bake buttery croissants, how fun and yummy! Also the Vespa tour as long as it is sunny! I think wandering is the best tip here (even though they’re all excellent!). We were just there in June, and even though the places we planned to go were all spectacular (because, duh, Paris), it was the stuff we saw just walking around the city that really made the trip “zing”. Thank you for sharing! So glad you had a great trip to Paris, Meagan. You said it exactly…that “zing!” When you explore even just a little off-the-beaten path, you end up with lots of zing! I thought I’d visited a lot of museums but I’m not even close to 130! I did a vespa tour in Bangkok and while the traffic is insane it’s an interesting way to see the city. Paris would be much better. 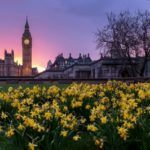 Great tips for an iconic destination. OMG, Carol! A Vespa in Bangkok must have been insane…and this coming from someone who lives and sometimes has to drive in NYC! Paris Vespa is much more enjoyable for sure! 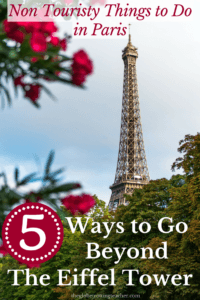 These are great tips – having never been to Paris before I suppose I would start off with the Eiffel Tower and Louvre. But then I think it would be time for something a bit less touristy. 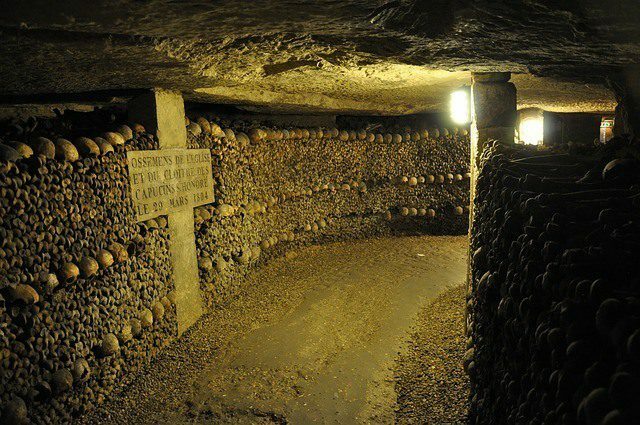 The catacomb tour looks amazingly creepy and i always love wandering through local markets – sounds like the Marché aux Puces de la Porte de Vanves would be right up my alley. 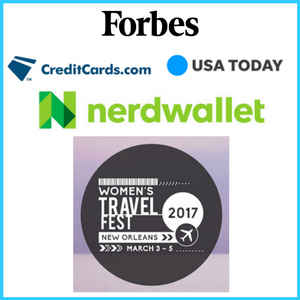 Thanks for compiling this – now I just have to visit Paris! Thanks for reading, Nick! 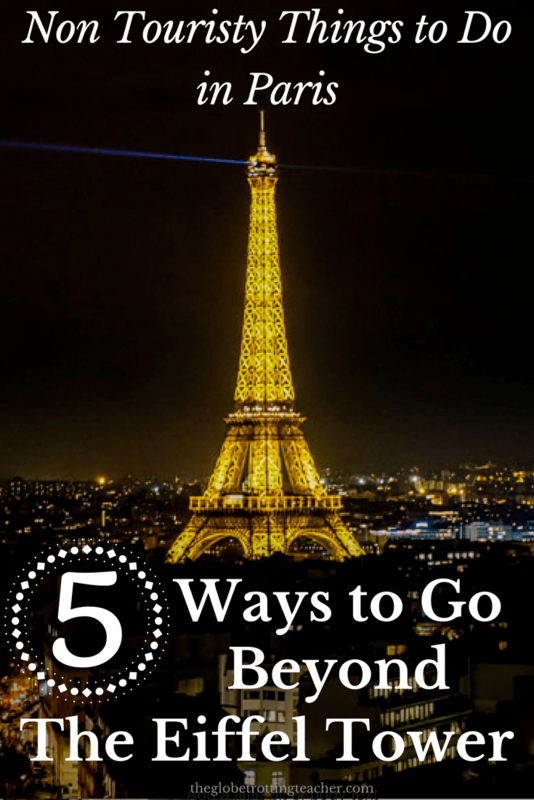 yes, you have to get to Paris. I’m totally biased, but it’s a must! Paris is one of those vast cities that you can never claim to have seen fully. Each time you go, you can experience a brand new side. I have been thrice, but I haven’t had enough. Offbeat is the way to go, after you’ve seen all the major popular sights. Same here, Punita. Three times and will continue to go back as long as I’m able. So much to see and do and each time you get to glimpse a bit more of the real Paris. Definitely check out Context Travel’s tour options around the globe, Reshma. The in-depth knowledge their local experts can provide really stand out compared to other tours. Perfect timing then, Archana. 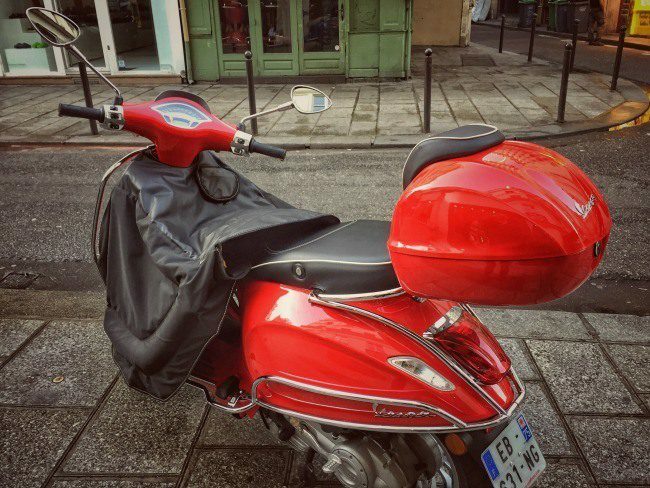 Sorry to hear you can’t ride a Vespa, but luckily Paris has so many other fantastic things to do. Have a great trip!